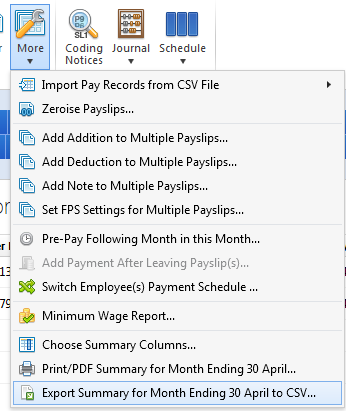 Every time your company file is opened and the Payroll utility accessed, employees will be listed in a 'summary view'. 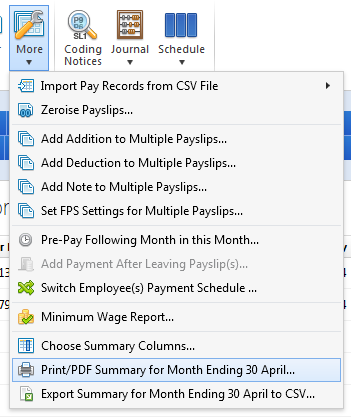 This summary view provides an overview of pay information entered in the pay period selected for all the employees on that pay frequency. It is most commonly used as a final check of pay information entered before a pay period is finalised. BrightPay applies a default selection of columns, which the user can subsequently customise to suit their own requirements e.g. to show columns for number of hours worked and pension contributions. 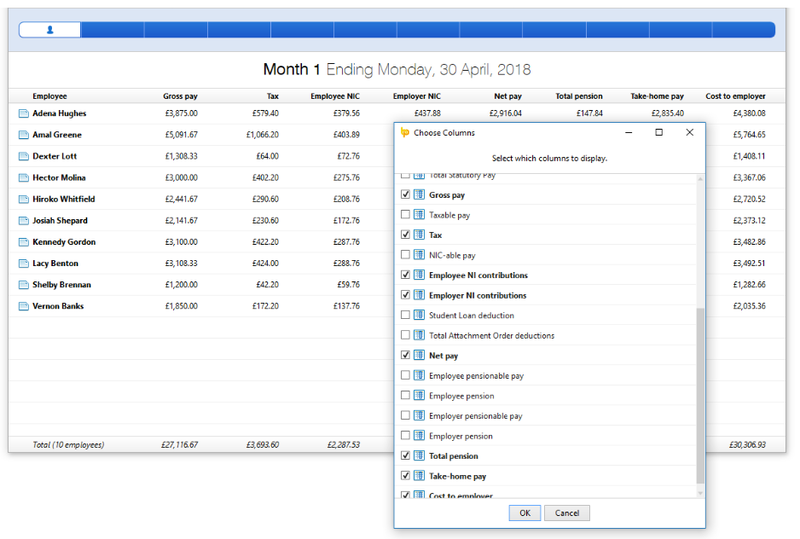 The 'summary view' will also indicate variances in pay information when comparing the period selected to the previous pay period.